Also, nearby is an impressive array of championship golf courses; scenic bike and walking trails; legendary surfing spots; fishing, kayaking and sailing; skateboard parks and more. 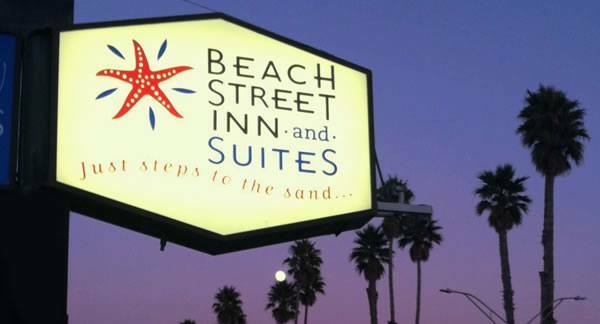 Just a stroll away is our downtown area with its eclectic shops, theaters, and a terrific selection of fine restaurants, delis and pubs, some of which offer special deals exclusively to guests of Beach Street Inn and Suites. Ask about those when you check in. Be sure to visit the fun retail shops below the first terrace on Beach Street, plus, The Picnic Basket, a cafe that serves great sandwiches, coffee and ice cream. Why not start planning your trip now by taking a tour of our ocean view rooms and suites, or check our Santa Cruz beach hotel availability? See you at the beach!